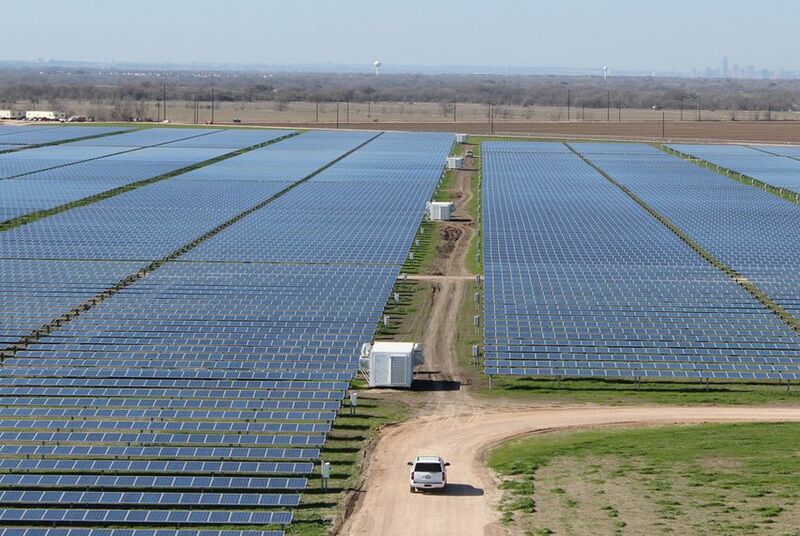 The Austin City Council has called for a dramatic expansion in solar power generation, earning accolades from environmental advocates. But the city-owned utility, Austin Energy, has balked at the proposal. Late this summer, the Austin City Council trumpeted its commitment to a progressive energy policy by calling for a dramatic expansion in solar power generation, earning accolades from environmental advocates across the country. But the city-owned utility, Austin Energy, has balked at the council’s proposal and said it would be too expensive for ratepayers. And since then, a debate has ensued over how to be politically progressive and economically practical at the same time. Resolution 157, which council members passed in August amid controversy, directed Austin Energy to make sure that 65 percent of the city’s energy needs are met with renewable resources in just over a decade. In less than three years, the resolution adds, the utility should strive to completely replace power generation from an old natural gas-fired plant with solar power. Council members also said they are committed to keeping rates low. But the utility said the changes would not be affordable. Today, more than 20 percent of the power provided by Austin Energy is renewable, but much of it does not come at a profit — especially not solar, which is the City Council’s chief target for expansion. Paradoxically, that is in part because the city was a pioneer in generating renewable energy, and it secured long-term contracts years ago when the price of solar energy was far higher than it is now. And there are problems with generating lots of solar energy, like the variability of weather conditions. “In a sense, it’s a great problem to have because we’re leading the state and probably most of the country when it comes to producing renewable power,” said Robert Cullick, a spokesman for the utility. “But, there’s a cost to that,” he added — at least tens of millions of dollars a year. To make up for the loss, the utility said it must generate cheaper power through other means and sell it into Texas’ electric grid at a profit. So last week, Austin Energy presented a modified plan to the City Council: Lower the goal for renewable energy production to 50 percent of all generation by 2025 and build a newer, more efficient gas plant in place of the old one. But Chris Riley, an Austin councilman who pushed for the original resolution, was skeptical of claims that natural gas was a clean enough form of energy. Council members have also pointed out that natural gas is still a carbon polluter, and their goal is to eliminate all carbon emissions from Austin Energy-owned power generation by 2030. The utility’s proposal may soon go through an independent review. “Austin is in a better situation than places that are not in charge of their own utility,” said Daniel M. Kammen, a professor of energy at the University of California, Berkeley. He said the City Council’s goals were achievable, but that even if they are slightly too high, “aspirational” targets can spur more innovation. Ross Baldick, a professor at the University of Texas at Austin who studies energy markets, said lofty goals only work up to a point.